C1RCA Combat Lamb comes in a Vegan colorway. The off-white (wind chime) may look soft and cuddly with its clean lines, but with serious skate features it will soon be ripped and stained with the crud of the earth (and grip tape). 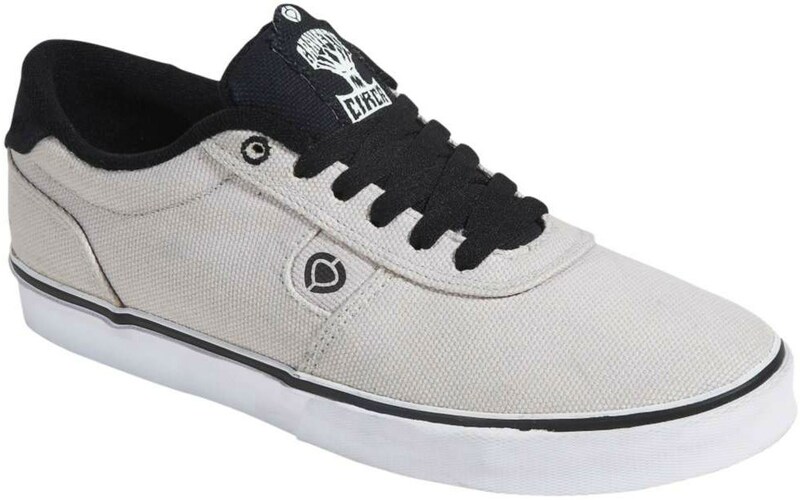 The Combat series is C1RCA’s proline and all feature skateboard specific technology. The Fusion Grip vulcanized sole with a herringbone tread assure a grippy and close board feel. Dura-Lock sole inserts cup the balls of your feet to keep them from slipping and reduce heal bruising. The collar and tongue have some decent light padding and check that sweet tongue art. Scary trees are the best trees!